“If you can’t open it, you don’t own it.” This is the motto of the Maker Movement, a surfacing subculture of Do-It-Yourself techies, builders and creators who believe in hands on learning-by-doing. Valley Torah strives to open more creative opportunities for their students and Dr. Eliezer Jones, General Studies Principal of the Boys Campus and Mr. David Joseph, Chair of the Science Department, decided this end of year was the perfect time to take a group of students to the Bay Area for a Maker Shabbaton. On May 15th, after a rainy seven hour road trip up the California coast the day before, the excited students were treated to a special tour of the Google Headquarters. The boys were guided through the Googleplex by four friendly and ferociously smart Jewglers (Jewish Googlers) who treated them to a great kosher lunch courtesy of Google. While the food went fast, the inspiration and advice will stay with the students for years. In fact, many of the students declared that they will one day work there. A trip to Google would be hard to top on any trip, but a visit to Facebook, Apple and Stanford University was planned before a Silicon Valley Shabbos. On Shabbos day the Am Echad shul welcomed the students with open arms, wonderful davening, kiddush and then a Shabbos lunch hosted by community members, which included a Rabbi, a Jewgler and a Tech marketer. The students were treated to fanciful hospitality by their hosts and the local community. Shabbos ended with havdalah and preparation for the highlight of the trip; the Maker Faire! Dubbed, “the greatest show (and tell) on Earth,” the Maker Faire travels the world and is an engineering, robotics, and inventor convention which celebrates creativity. Over the May 15th weekend, the Bay Area event showed students astonishing displays of architecture and interactive technology, and there were robots of every shape, size, and function. 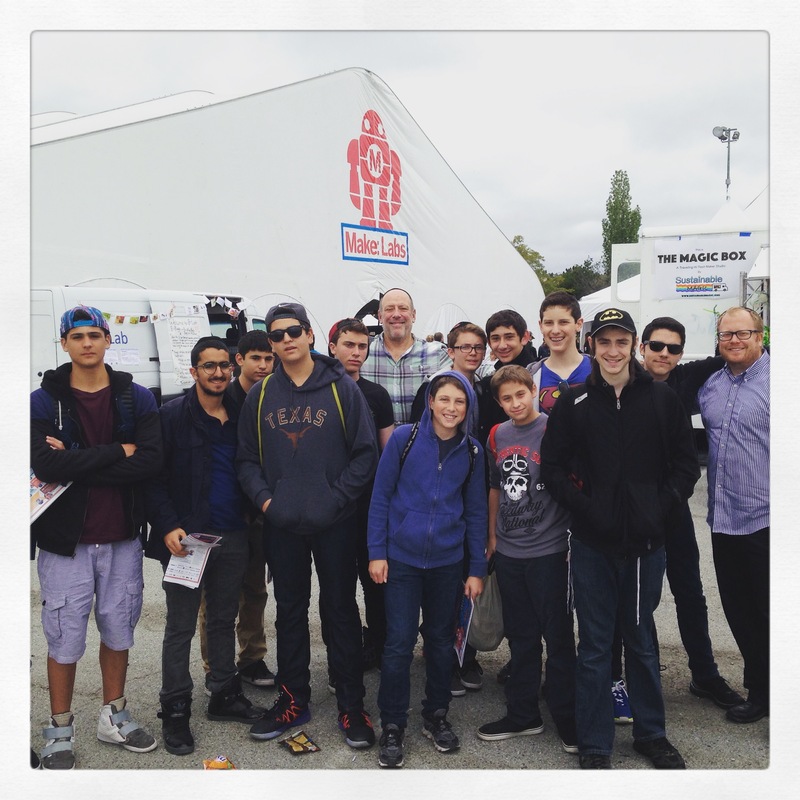 The Maker Faire prides itself on being, “part science fair, part county fair, and part something entirely new!” The Valley Torah boys attended on the third day of the event. They didn’t know it, but they were also an example of innovation: Dr. Jones and Mr. Joseph proudly showed off the Valley Torah’s global minds, creative spirit and Jewish hearts as they tinkered, hacked and created throughout the show.